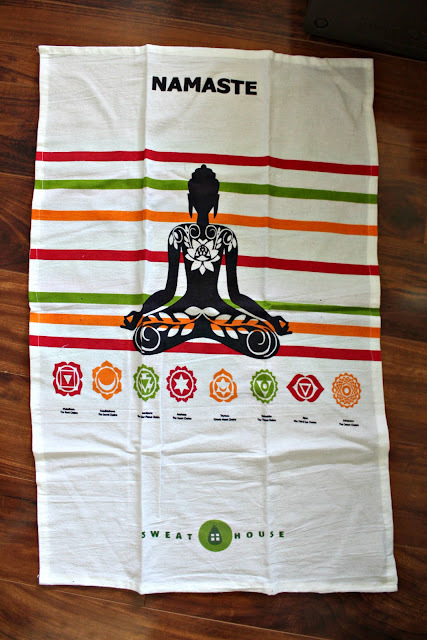 Contents: 4-6 items that enhance your yoga practice and lifestyle. I don’t wear headbands too much, and this is one of those fabric tie ones that you usually see as normal hair ties. Honestly it’s a bit tight (do I just have a big head? ), but it’s cute and convenient. 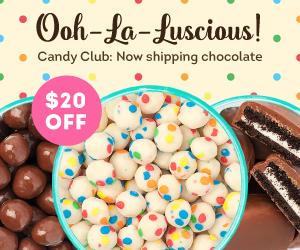 Omg Cashew Caramel sounds delicious! I also saw other people who got Banana + Almond Butter which also is unique and sounds crazy good. A+ for the awesome flavors Go Macro! This is 45 min worth of 4 guided meditations that you can listen to online or download. The meditations include “Awakening to Being Present”, “Creating An Extraordinary Day”, “Chakra Balancing”, and “Creating a Physically Balanced Day.” This seems great! 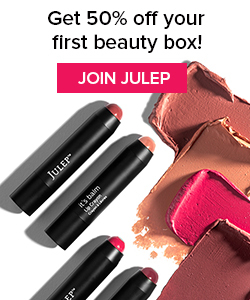 It’s unique but holds a ton of value in this type of subscription box. I’ve never meditated before or anything, but I want to give this a try at least. 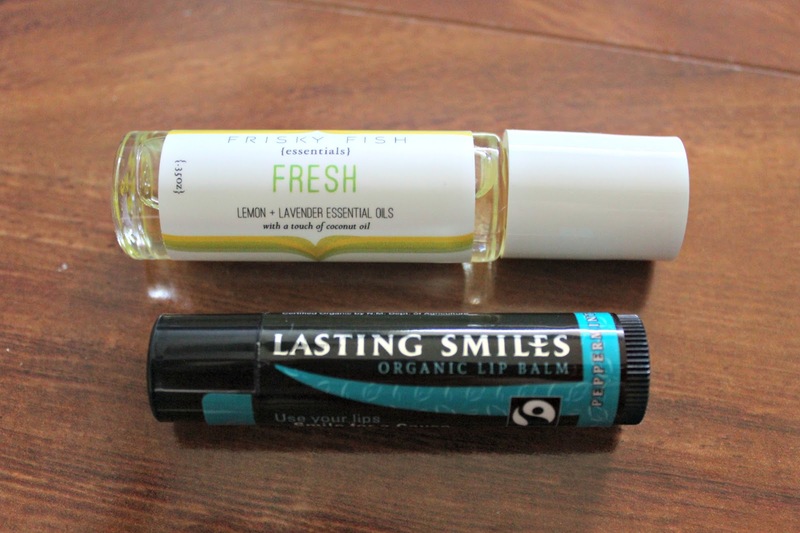 I really love the essential oils that BuddhiBox has been giving! I mean this is only my second box, but 2 out of 2 have been winners. Essential oils may just be my new thing! UP NEXT: What is Subscription Love? The information card said the balm would be Passion Fruit Mango flavor, but I got Peppermint. I would have liked the Passion Fruit Mango more (summer vibes! ), but peppermint is ok too. It’s nice and smooth, and you can never have enough balm in my opinion. This towel is pretty rad, I love it! The perfect size for working out and it’s a nice material with great absorbency. The Saucha Spray below is lavender scented that you can spray on your clothes and yoga mat after working out; it kills bacteria and gets rid of odor. Fabulous idea. 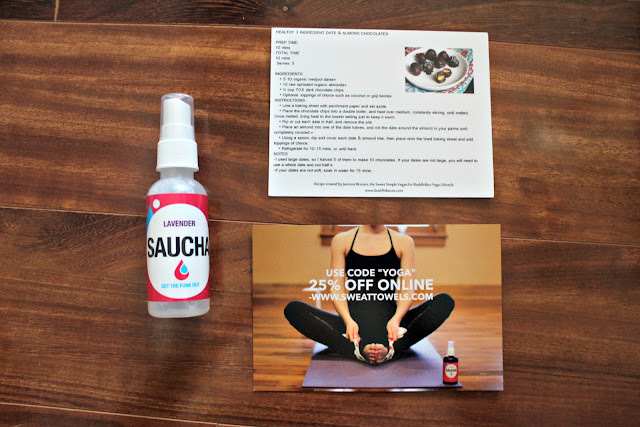 Here is the aforementioned Saucha Spray, a coupon card, and a healthy recipe for a decadent dessert. I love how BuddhiBox includes a yummy looking recipe in each box. Final Thoughts: There are some things that were a huge hit for me in this box, such as the towel, essential oil, and macro bar. The other items were just okay for me, but I actually found out that I was missing an item! Unfortunately my box was also supposed to include a solid perfume worth $20. If the perfume was included, my box would have been worth $72.50, not including s/h which is an amazing deal! Mistakes happen sometimes, so I will be contacting customer service to let them know about the little mishap. 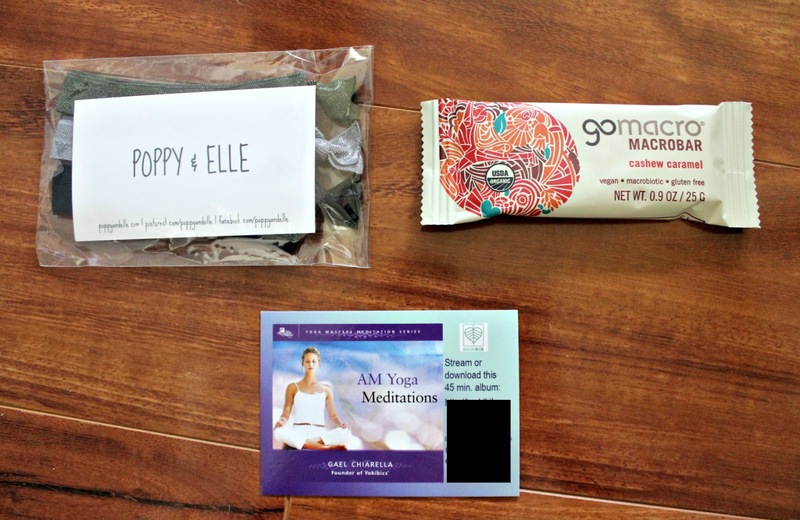 Other than that I did enjoy this months box, and am looking forward to next months! 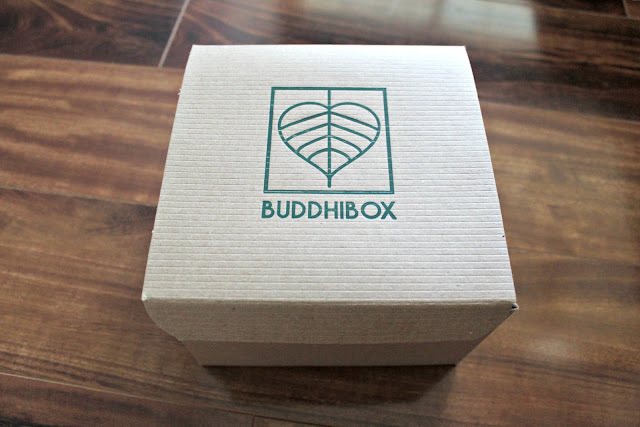 Sign up for BuddhiBox here!